The tree of life on earth has some new branches. 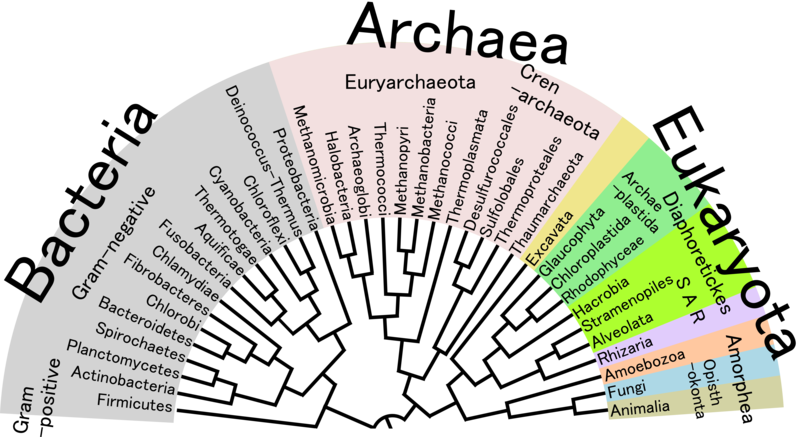 On the tree of life, humans share a branch with a diverse array of creatures, all with one thing in common: a backbone. This single shared characteristic is enough to group us with dogs, fish, and lizards, in a group called a phylum; this is repeated throughout Earth’s organisms, connecting all of life’s diversity into one tree. But now, researchers from University of Queensland (UQ) in Australia have uncovered an array of thousands of organisms so unique, they don’t fit into any existing phylum. At the core of this research, which has been published in Nature Microbiology, was a relatively new technique known as metagenomics. It involves the sequencing of all the DNA in a sample of an environment — dirt, water, feces, etc. — to produce that sample’s metagenome. From an international database of more than 1,500 metagenomes, the UQ team reconstructed the individual genomes of 7,280 new bacteria and 623 new archaea. Of these microorganisms, roughly a third were unlike anything scientists had seen before, warranting the creation of 17 new bacterial phylums and three new achaeal phylums. Microorganisms are notoriously difficult to study. Scientists have only been able to successfully culture one to two percent of all known bacteria and archaea in the lab, so analyzing them in their natural conditions through metagenomics may be the only way to study the rest. However, while they may be tiny, these microbes can still have a huge impact on our world. Right now, antibiotic resistance is a global problem of epic proportions. Microbes have figured out how to adapt to the antibiotics we currently prescribe to treat health problems, and this resistance has killed as many as 23,000 people each year in the U.S. alone. Past research has also identified unique industrial and environmental uses for microbes. They’ve been used to create fertilizers for agriculture, and the ethanol produced by some can be found in dyes, detergents, and other products. Scientists from the U.K. noted that newly evolved ocean microbes could be eating the vast majority of the plastic currently polluting our waters, and bacteria that live off of carbon could help in the battle against climate change. Beyond the many potential uses for these newly identified organisms, their mere discovery is exciting for what it can tell us about the world we share.